A well designed conference room utilizes the right combination of furniture, color, wall treatments, lighting and audio/video equipment. Having the capability to easily control the lighting, the shades, the phone, video conferencing system, flat panel monitors or projectors, sound and climate are a necessity in today’s conference rooms. 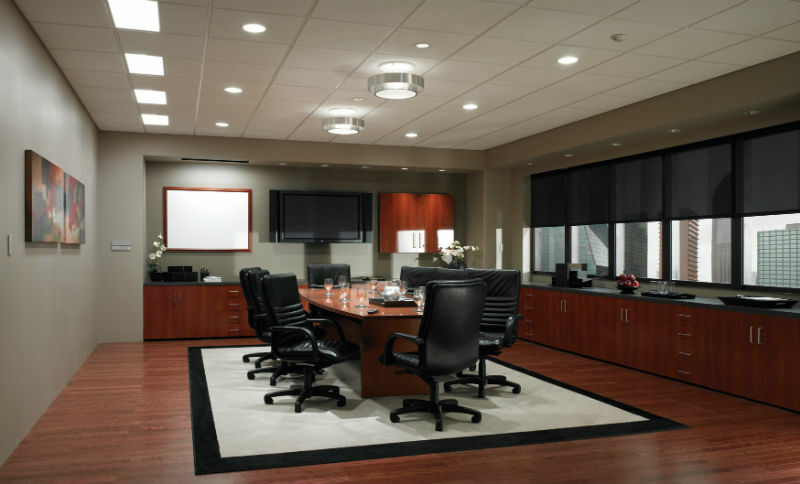 With the best that the current technology has to offer us, TechLife Media Systems can help design, provide and install the electronic systems needed for a productive conference room. From computer data connections to easy to use touch panel controls to “smart” boards, TechLife can seamlessly integrate these technologies into your office.